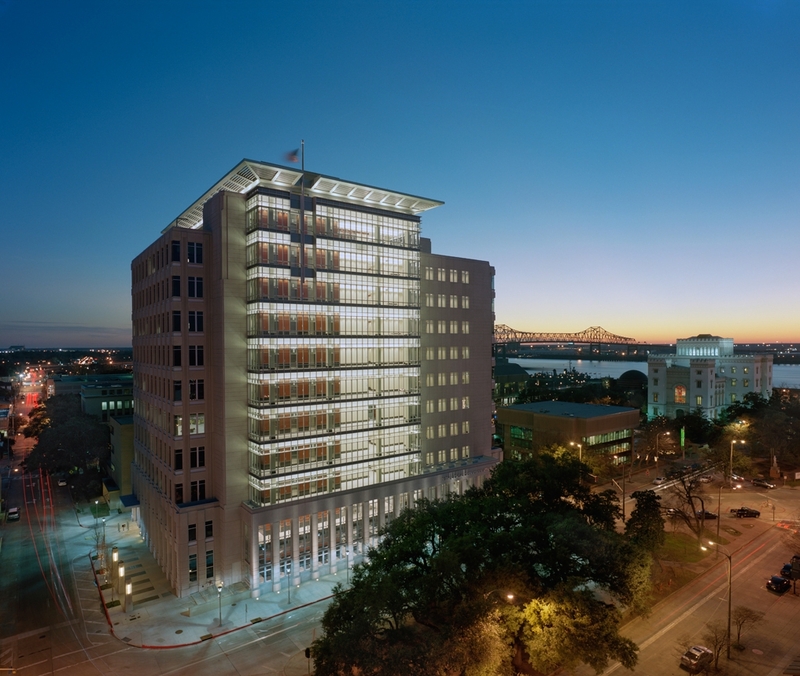 KPS was the design architect in association with Post Architects of Baton Rouge for this 350,000sf new courthouse for the State of Louisiana. 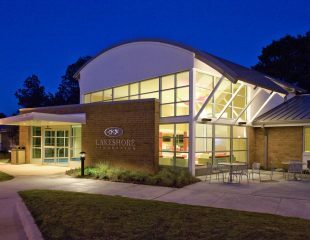 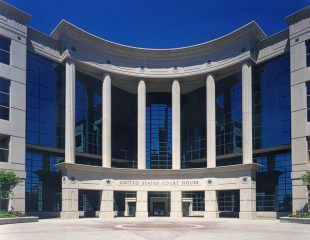 It reflects the forefront of contemporary thinking in court operations, convenience, security, technology, and flexibility. 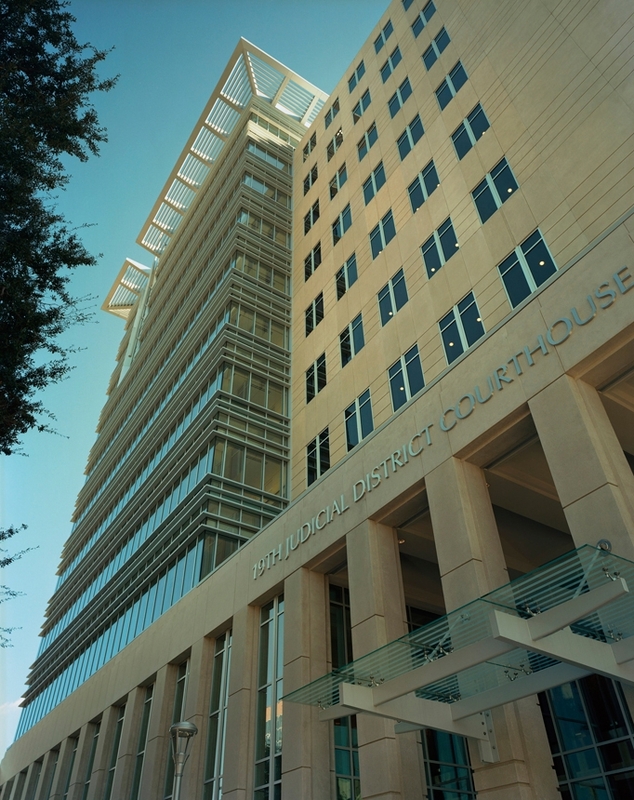 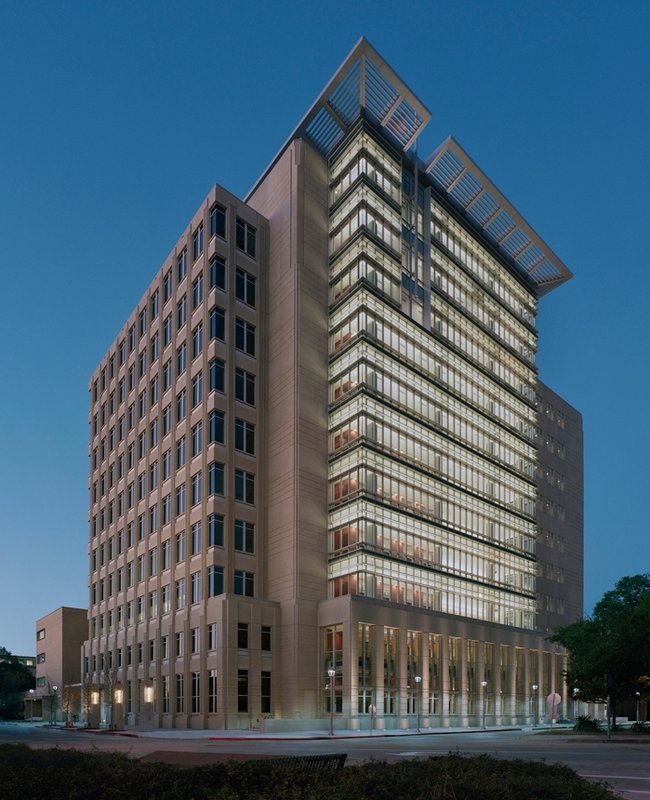 Sited in a downtown redevelopment area in a dynamic mix of historic renovation and new, contemporary buildings, the design of the 10-story courthouse balances the dignity and transparency of the justice system with layered circulation and security measures. 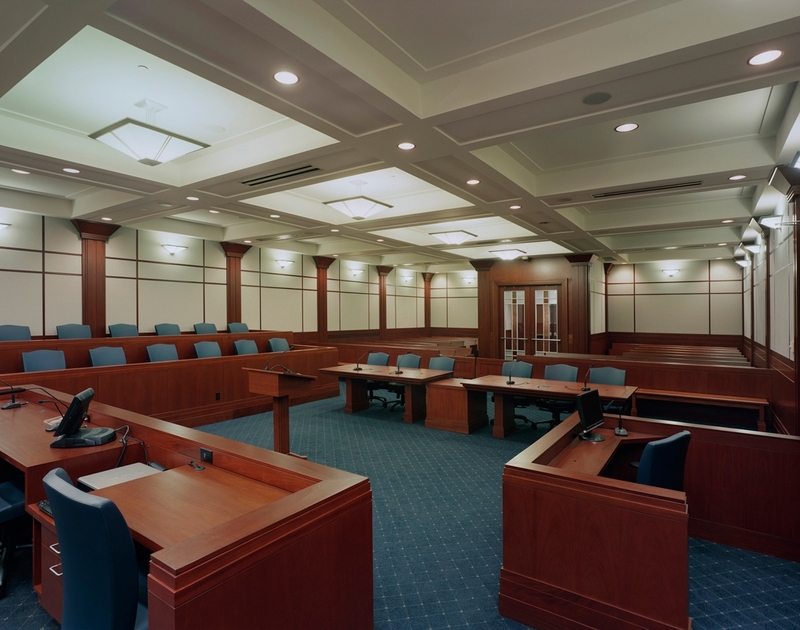 The first two floors house functions that require extensive public access, while the upper floors each contain 4 courtrooms and are organized to clearly separate public, judicial, and prisoner circulation patterns. 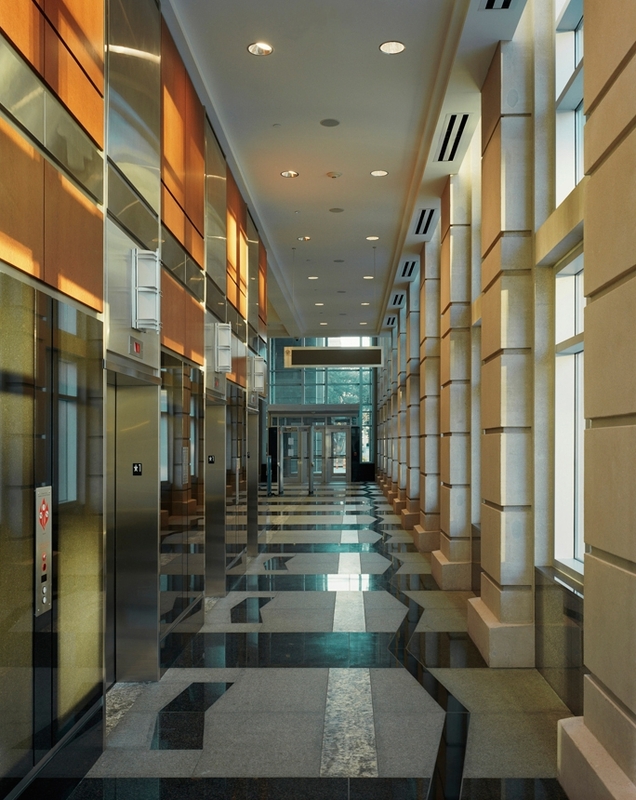 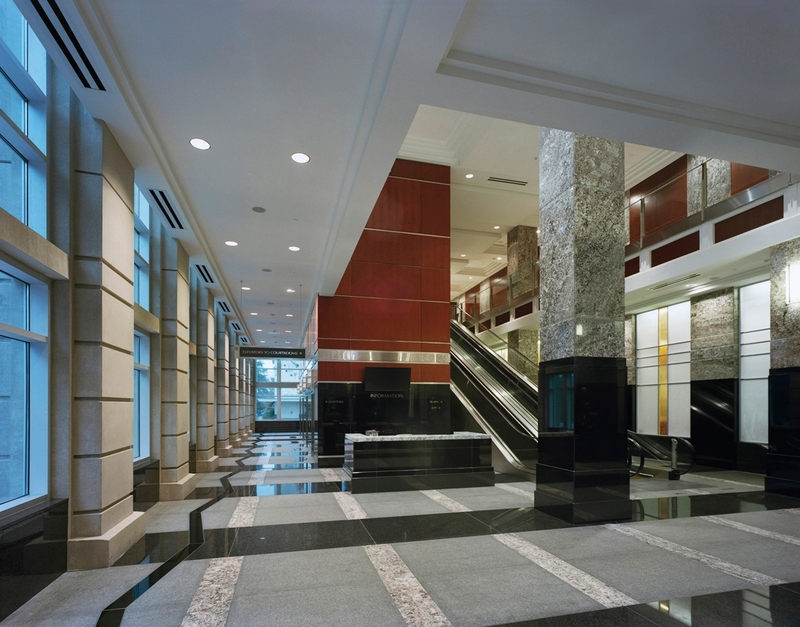 Although a State courthouse, internal circulation design and building security design are modeled after Federal requirements. 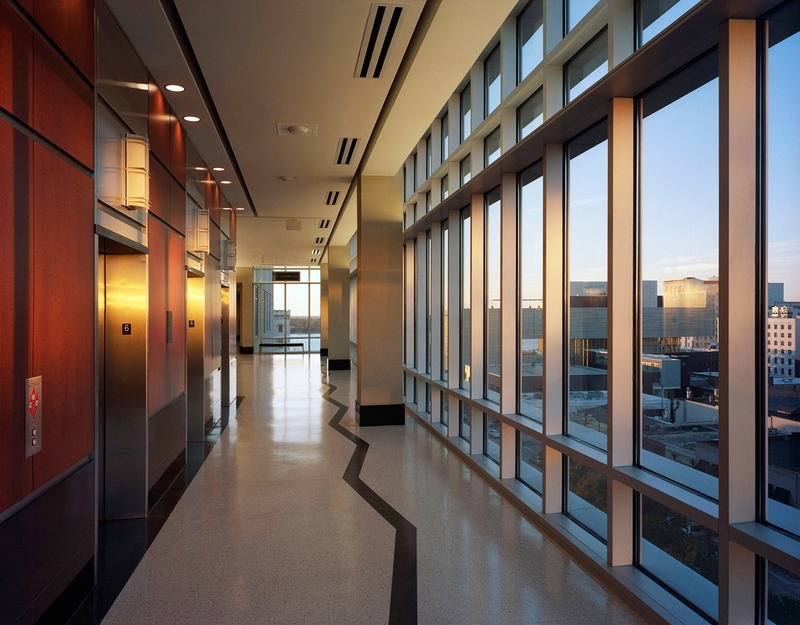 The elevator lobbies on each floor provide dramatic views of the state capitol at the end of an axial vista to the north and the Mississippi River to the west. 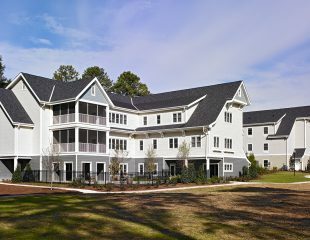 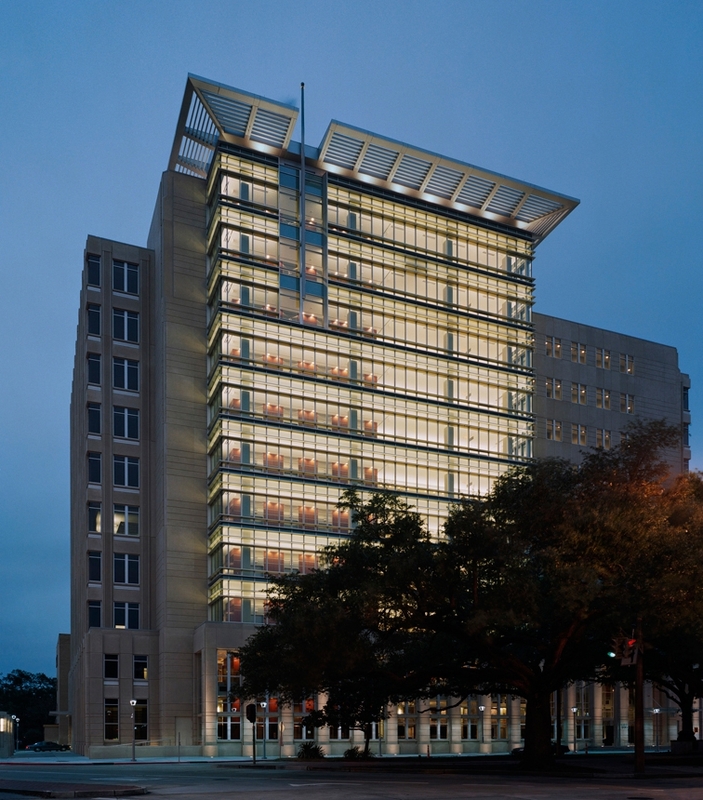 Two additional floors were added in mid-design in response to post-Katrina population migration from New Orleans.